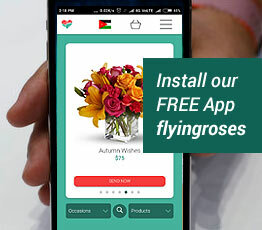 Sending flowers and to gifts to Kuwait has never been this easy. Just choose a product from our Flowers Kuwait online catalog, follow the 4 easy steps and then our florist in Kuwait would process your order with the greatest care and attention so that it reaches your loved ones and significant others on their special occasion. If you are looking for a great flower shop in Kuwait, you simply will surely not find a better website to order flowers and gifts online than from Flowers Kuwait - Kuwait’s top premier online florist. We are flowers specialists and unlike other websites that use international delivery services or chain stores we specialize in countries to get exactly what people want. 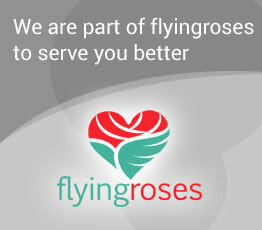 When you want to send flowers to Kuwait we offer the finest flowers in Kuwait. 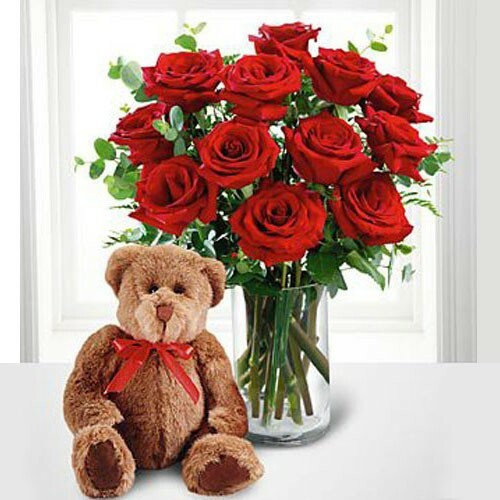 For Kuwait flower delivery, you will find bouquets and gifts for every occasion: Birthday, Anniversary, Just Because, New Baby Born, Love & Romance, I'm Sorry, Get Well and Sympathy, Funerals. We also have the exact flowers and arrangement for all holidays: Christmas, New Years, Valentine’s Day, Kuwait’s Independence Day, Graduation, Eid El Adha, Easter, Eid El Fitr, Mothers’ Day, Ramadan, and Fathers’ Day. Our finest flowers are available in a vivid array of shades so you can find the right floral bouquet for any event. We at Flowers Kuwait like to say that we make distances shorter and we take great pride in helping people connect with each others and express themsleves to the important people and significant others in their life by providing the finest variety of flowers and arrangements, from roses to tulips to carnations to orchids to gerbera daisies. You can also find baskets, cakes, chocolates, balloons, perfumes, and teddy bears. The choice at Flowers Kuwait is wide whether you are looking for a flower bouquet or a gift basket, the variety of flowers and gifts we provide should satisfy all the tastes and preferences. Renowned as being one of the finest flower shops in Kuwait, our customer service team is one phone call away, call us or email us to help you with any order. Whether you are sending a dozen roses to celebrate your love or a cake to wish a friend luck - if you have questions call us at +961 70 640060 or email us on [email protected] and we will get back to you with an answer. We will help you find the greatest flowers in Kuwait or gift to celebrate life's most meaningful moments and to make sure that your loved ones will remember. For flower delivery Kuwait, trust www.FlowersKuwait.com to send all your flower arrangements, because flower delivery in Kuwait is what we do best! We deliver flowers to all locations in Kuwait, we even deliver to the American camps. Same day flower and gifts delivery is possible if your order is received before twelve noon Kuwait time. If an order is received after that time we will make every attempt to deliver, however, if it is not possible we will make sure it is delivered the next day.